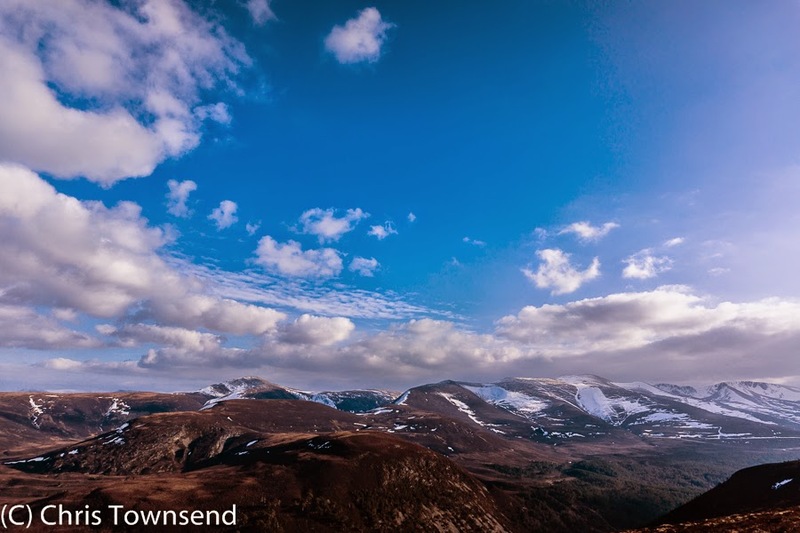 Fifteen days after struggling over Meall a'Bhuachaille in a winter storm I was back again, this time with bushcraft instructor Paul Kirtley to record a podcast for his Blog. The weather was spring-like and we sat and looked at the view and recorded my words on the slopes where I'd been struggling to keep my feet as snow hammered down and the wind blasted me sideways. Across Ryvoan Pass the high Cairngorms, stripped of much snow, glowed under a bright sun. The circuit of Meall a'Bhuachaille from Glen More usually takes two to three hours. On this occasion it took over twice that as we had a couple of long recording sessions. Not that we stopped talking the rest of the time as we both have a great passion for wild places, ski touring and wilderness travel and we found much to discuss, making for a day that was just as invigorating as the one in the storm though in a completely different way. Paul says the podcast will probably appear sometime next month. I'll post a link when it does. Uplifting to read of your experiences in recent posts and to see the beautiful - or challenging - images. 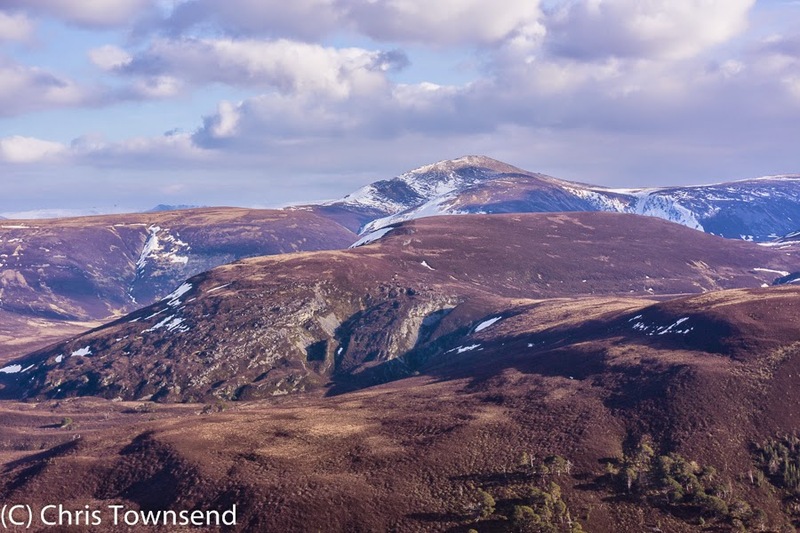 The threat to Scotland's wild places is big and growing, and it's easy to become despondent and lethargic about trying to keep that flame alive. Your accounts are a reminder of what is still there to enjoy. Thank you.